Just imagine sitting on your front OR back porch each morning and evening, relaxing! 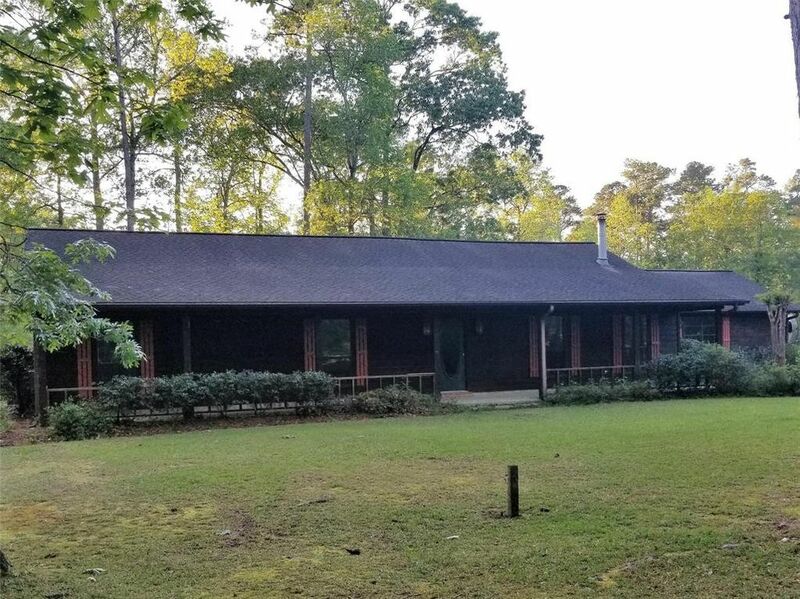 This OPEN concept, 3 large bedrooms, 2 bath home sits on 2.3 acres in Country Wood Estates, in Hardin-Jefferson ISD. The sheetrock is up with neutral paint but the rest is like a clean canvas waiting for your finishing touches!!! The 19 x 16 MBR has a 19 x 12 closet (or maybe a study) plus 2 other closets in the bath. A Sunroom (or den) has windows along 2 sides and opens to a covered porch. The front a porch is spacious, just waiting for your swing or rockers. The kitchen opens into a vaulted family room. So much natural light in this house! You have a 2 car attached garage PLUS a 2 car detached garage with a 19 x 29 shop!! WOW, so many assets, just waiting for you to make this YOUR HOME! It might have been flooded but is on the mend, waiting for your polishing touch! Call today for a showing!